Oyster Stew doesn’t have to be difficult. My Mom used to make it with a double boiler, but if you only bring things t a simmer, that isn’t needed. Oyster stew falls in tha devilish category given the amount of whole milk and butter in it. You can make it with skim milk, but that honestly is not near as tasty! 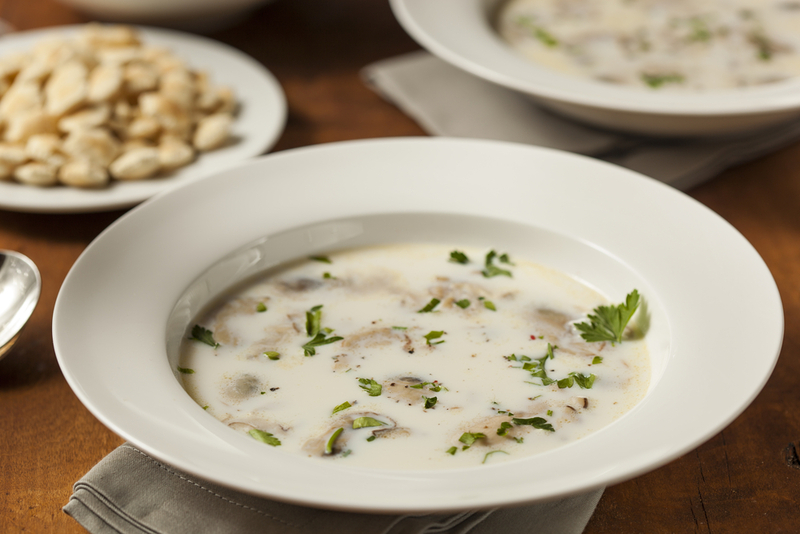 An easy and tasty oyster stew recipe. In a large saute pan, melt 4 tablespoons butter. Wisk in the flour, stirring constantly, then cook for 3 to 4 minutes. Add onions and celery, and cook for 2 minutes. Stir in milk and the reserved oyster liquid. Season with salt, cayenne, and black pepper as desired. Bring to a simmer and simmer for 4 minutes. Add the oysters, garlic and parsley. Bring the stew back up to a simmer and cook for 4 minutes, or until the oysters curl. Stir in 2 tablespoons butter and remove from the heat. I love oyster stew. I try to stay away from food from the ocean but I have to admit this is a mighty tasty recipe. I love oyster stew, but have never made it. This just might be my inspiration. Thanks!